In a Boxing Day matchup against relegation-bound Huddersfield Town, Manchester United’s pricey midfield savant cranked in two signature goals to lay waste to the overwhelmed Terriers at Old Trafford. Just four days earlier, against similarly woe-struck Cardiff City, Pogba drew the foul for United’s first goal and assisted the second, effectively ending the contest after 29 minutes. Through two matches under interim manager Ole Gunnar Solskjær, Pogba has looked like a new man, marauding through the center of the park and generally being the player United fans thought they’d get day in and day out when he was purchased in 2016 for a then-world record $116 million. And though Pogba is not the only United player to be revitalized under Solskjær—Marcus Rashford and Anthony Martial have similarly looked reborn under the Norwegian manager—a sustained Pogba revival has to be United’s primary focus for the rest of the season. Mourinho won the Europa League in 2017 and finished a distant second in the table last season, but the defining characteristic of his failed tenure at United was his inability to build a coherent attacking game plan around Pogba’s considerable talents. This must have been particularly aggravating for Pogba himself, who returned to England after a dominant run at the World Cup only to have Mourinho put the straps back on his game. It was fitting, then, that Mourinho’s last game in charge of United, a 3-1 thrashing at Liverpool’s hands, unfolded while Pogba inexplicably sat on the bench. 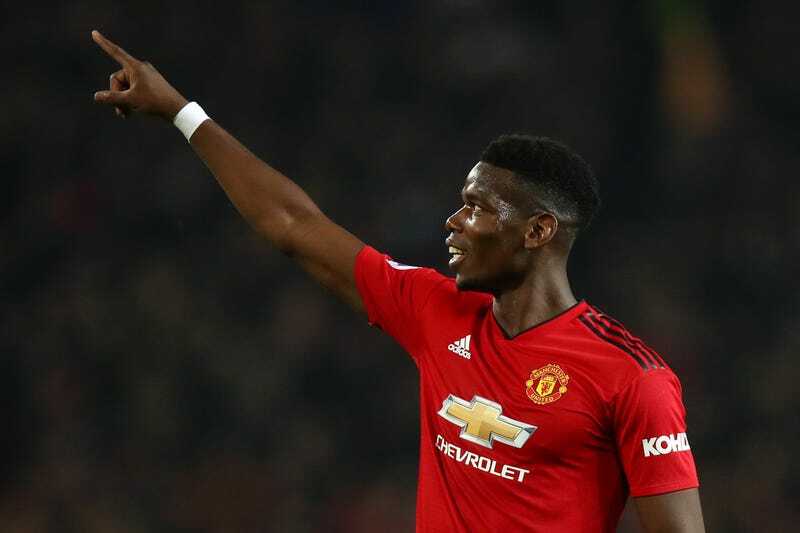 For months, it was obvious to everyone except maybe club vice-chairman Ed Woodward that one or the other had to go, and it was equally evident that it would never be Pogba that left Old Trafford. When the axe finally came for The Special One, the club made sure to replace him with someone who was said to understand “the Manchester United way,” whatever that means. Enter a club legend who scored one of the biggest goals in United history to shepherd the Red Devils through the remainder of what looked like a catastrophic season. It sure doesn’t hurt that the timing of Solskjær’s appointment could not have been more fruitful; after Cardiff and Huddersfield, United face mid-table Bournemouth and old foe Rafa Benitez’s disappointing Newcastle side. It’s possible, if not likely, that United will get 12 points out of 12 in Solskjær’s opening run of matches, before heading to Wembley on January 13 to take on suddenly-second place Tottenham Hotspur. So, maybe Mourinho really was the problem and Pogba will go on to star as the featured player on one of the most expensive squads ever built. Or maybe it’s the perfect storm of circumstance that’s elevating his game, with the new-manager bump combining with creampuff opposition to make him seem larger than life for a month. Does it matter? Pogba feels important to United’s plans for the first time all season, which has to be a relief for the club’s famously demanding supporters. On Wednesday, he looked like the player who owned this summer’s World Cup, and it’s suddenly fun to watch United again. That’s bad news for the rest of the Premier League’s top sides, who must have hoped that Mourinho would survive until the end of the season.